My last day of work (AKA quitting day) was September 1, 2017. Since then, I’ve been on a journey of self-discovery. Overall, the journey has been incredibly rewarding. It’s been fun, exciting, challenging, terrifying, inspiring, and (at times) full of second-guessing. In future posts, I will share deeper insight into what brought me to leave my job, what I’ve been up to since then, and what my plans are for the future. I will be writing about my accomplishments and wins, my struggles and challenges, my moments of confidence and my moments of doubt, and anything else that could be helpful along the way. We are all seeking to make the most of this one life we have. I’m excited to share what I’ve learned on my mission to build the best life possible for myself. Today, I am opening up about the biggest lessons I’ve learned about myself and about life since quitting my job. I hope you get something out of it that will help you make better decisions about your life. In the days immediately after I left my job, I didn’t fully appreciate the magnitude of what I was going through. In my mind, it was like hitting the famous easy button. Leaving work behind. New life begins now. That was easy! I wanted it to be easy. I didn’t want to deal with the culture shock of no longer going to work every day. Nor did I want to deal with the feelings I had in the aftermath of an intense work experience. Oh, and there’s the whole thing of suddenly having a ton of time to fill any way I wanted, in an empty apartment. That’s a lot to process at once. But there was a sense of urgency to get on to the next thing, to start figuring out what there was to figure out. I didn’t want feelings standing in my way, so I pretended they weren’t there. I didn’t want to process a new reality, so I pretended it was no big deal. In the weeks immediately after leaving work, I did a lot of traveling. First, I took a solo beach retreat to transition into this exciting new chapter. 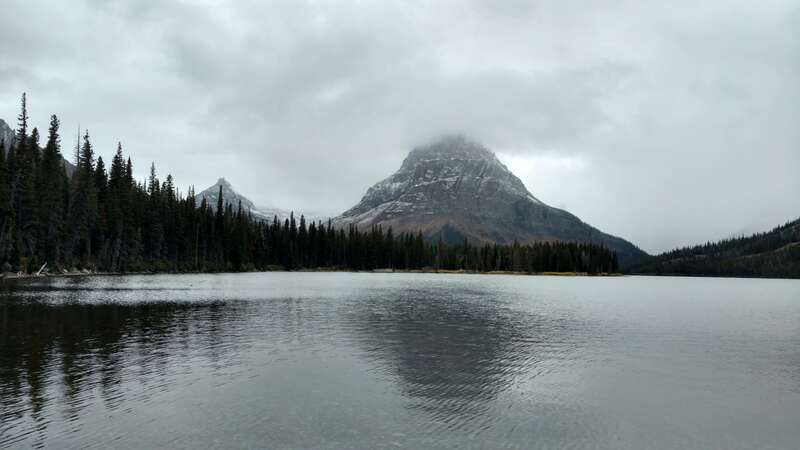 Then, I went to Montana and visited my sister, getting to see some of the most majestic landscapes in the world at Glacier National Park. I also took a two week trip to Italy and Croatia with my wife Annelise. Those times should have been completely about letting go. In some ways, they were. But it’s hard to let go completely when you are in denial of anything being there to let go of. So I spent a good chunk of those times putting pressure on myself to get on to the next thing. Instead, I should have been taking the time I needed to enjoy, process, and decompress rather than worry. One of the best gifts I received in 2017 was a book called Bird by Bird: Some Instructions on Writing and Life by Anne Lamott. 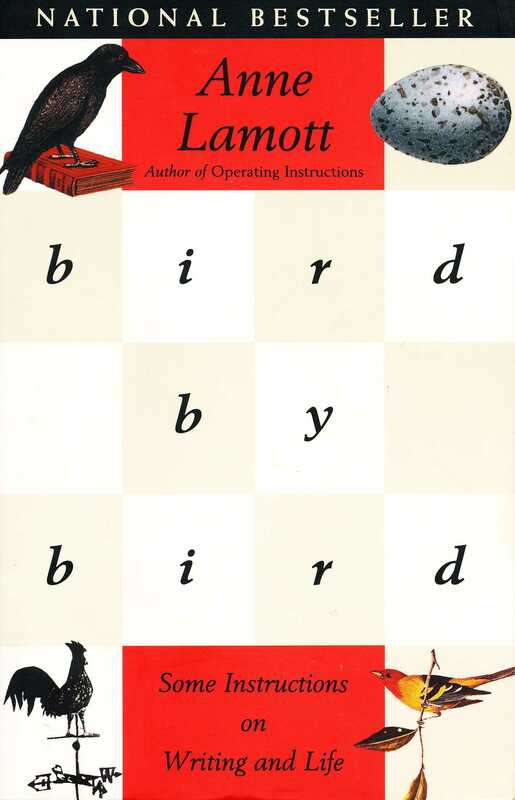 The book title originates from one of Lamott’s childhood memories. As the story goes, Lamott’s brother was struggling to complete a report for one of his high school classes. His chosen topic for the report was birds. The task was to compile a detailed report on a number of birds, and he was overwhelmed at the start (having put it off for so long). His father’s advice? Take it bird by bird. Complete writing about one bird, and move on to the next. Don’t think of all the other birds, just think about the one that’s in front of you now. Eventually, the report will be done. It was the perfect book to read having just left my job, and given the accompanying struggle to prioritize what to do and the best way to go about doing it. General life advice aside, the book was teeming with helpful, hilarious, and sometimes sobering insights into the life and mind of a writer. From this juncture, there are many potential directions my career can take. There are multiple pursuits and interests I have lined up to explore. Sorting all of that out amidst a radical life change (like being unemployed for the first time ever) can be daunting. I’m talking, daunting to the point of exhaustion just from thinking of where to focus next. When overwhelmed, I try to remind myself: bird by bird. I recently finished reading Pivot by Jenny Blake. 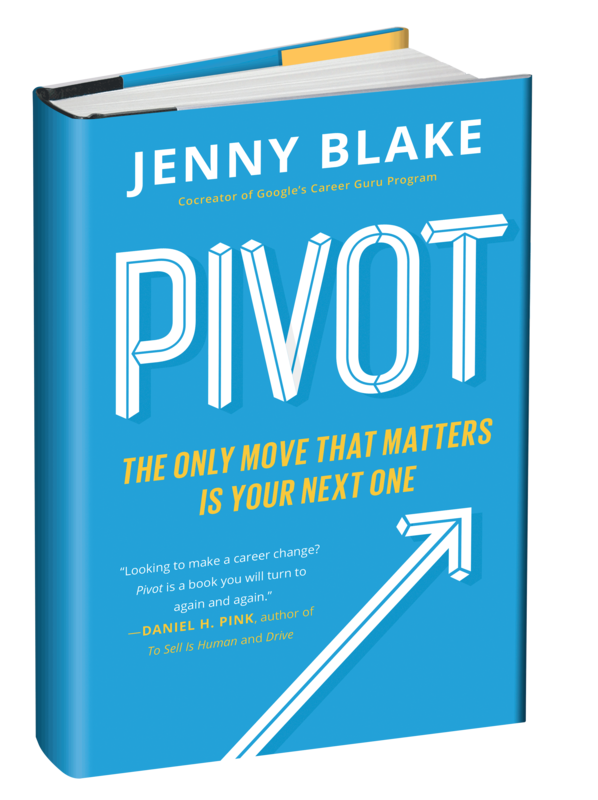 In Pivot, Blake lays out a blueprint for tackling a major career change, and all that comes with it. Obviously, this is right up my alley. In the book, the process of conducting pilots (or mini-experiments) is discussed heavily. My sabbatical is an pilot of grand proportions. Inside of this big pilot are many smaller pilots. Everything I put my time into is a mini-experiment to see what sticks, what works, what doesn’t, and what feels right for me. I don’t know what I’ll be doing next, but I do have a (relatively) short list. I’m confident that a year from now, I will be doing something from that list, if not multiple things. But pinning my hopes on any specific thing(s) would be no good for my mental health, or for my ability to adapt. And the uncertainty gives me space to experiment with many things. I’m currently learning a ton about WordPress development, having redesigned Shift Upwards on my own. I custom-coded just about everything you see on the site today. Aside from WordPress itself, there’s many other technical aspects of running a website, and I’ve been digging deep into those. This includes social media marketing and engagement, email marketing and list building, analytics, SEO, and other integrations and optimizations. These things aren’t required at this stage, but they are valuable skills to possess and I’m addicted to learning as much as I can about them. Essentially, I’ve been using Shift Upwards as a platform to run all sorts of mini-experiments. It has been really fun and fulfilling so far. I’ve also been attending meet-ups and arranging co-working days. This helps me keep interacting, and get a better feel for spaces I am potentially interested in. I have no idea what I will end up doing at this point, but my mind is open to the possibilities. The possibilities make me tick. They are why I’m excited to get out of bed in the morning. The path I am currently on flies in the face of the old-school approach to living and working. For a variety of reasons, this can create conflict with those around me who are all-in with the old-school approach. I’ve come to accept that not everyone in my life fully understands what I’m doing, or why I’m doing it. They might just flat-out disagree with it. And that’s ok.
I’ve made the mistake of putting too much weight on the negative (albeit well-intentioned) opinions of a vocal few. This is why it’s crucial to have a healthy support system in place. Such a system helps to ensure that a ‘situation normal’ (conflicting view points and opinions) doesn’t become a ‘SNAFU’. Because allowing conflicting opinions get into my head can easily throw me off track. I don’t mean this in an arrogant way. Here’s how I see it: I’ve worked hard to position myself where I can be open-minded about my career’s future. So, I’d be doing myself a disservice if I chose against taking a calculated risk. Regardless of any outcome, taking such a risk is worth it for the personal growth and learning that will result. I was certainly worried about leaving behind the steady pay and structure of my job. Who wouldn’t be? But this is what I’ve learned since quitting my job: I get just as much fulfillment from executing the vision I have for my life as I did by earning a paycheck. I also trust my skills, background, and motivation enough to be fairly certain that I can find work that’s a better fit for me, when ready. I’m about to turn 36, and despite what someone turning 36 will probably tell you, that’s young. Even if I were fully financially independent at this point, I have a hard time believing I’d never earn another dollar in my life. By taking a bet on myself now, I am able to tackle the same questions I’d be wrestling with had I chose to wait another five or ten years to stop working. These are core questions about my identity, who I am, and what I want out of life. It’s been cathartic to take these hard questions off the back-burner, where I had put them while my life was on auto pilot. When I am clear on what I need to be doing, it’s not surprising that I am able to be more productive. The best days are when I know what needs to be accomplished, and I get it done. When that clarity is present, it’s harder to not produce something. On days like this, I have trouble falling asleep because I’m so excited for the next day. When I have clarity, there’s not a doubt in my mind that I am on the right path, and that I’m right where I need to be right now. Unfortunately, anxiety inevitably creeps in. Clarity and anxiety are mutually exclusive. If I’m clear on what I need to do, I’m much more relaxed and focused. When feeling anxious, I’m certainly not relaxed or focused. Where does the anxiety come from? It might be triggered by an irrational fear that I’ll never be able to find paid work again. Or that I’m sabotaging my career. Sometimes, it stems from the fact that there’s so much I want to learn and accomplish. Anxiety can also stem from the possibilities. When there are so many, it’s easy to feel overwhelmed by them. Bit by bit, I am learning to better manage the clarity/anxiety balance in favor of clarity. It boils down to understanding specific triggers of anxiety, and being disciplined enough to recognize them (but not be consumed by them). One way to enable clarity is to prioritize and plan effectively. To that end, I’ve been experimenting with multiple tools and tactics to see what works best for me. I will share what I’ve learned in a future post. The other night, my mind was racing with writing ideas as I was trying to fall asleep. I told myself I’d write them down in the morning. When morning came, I couldn’t remember them. Can you relate? I’ve frequently heard some variation of this dangerous belief. I personally have found this thinking to be untrue. On many occasions, I’ve shot myself in the foot by mistakingly believing otherwise. It’s not always practical to document ideas the moment they come. But by putting it off, there’s a higher chance of losing the idea entirely. As a result of my frantic need to capture ideas, I now have them strewn about all over the place. Some are in physical notebooks. Others are in a series of text messages to myself. More live in apps like Evernote and Trello. And then others are in the form of voice memos. Then there’s the ideas I failed to capture. They are like ghosts floating around in my head; I have a vague knowledge of their existence, but can’t quite put my finger on them. Kind of how I feel after a tripped-out dream that I can’t remember entirely, but there I am awake and sweating in my bed. It must have been intense. I’m still trying to figure out the best way to track my ideas (assuming I can improve on my habit of capturing them in the moment). When I left the office for the final time on September 1, there were many things I wasn’t sure of. If this sounds terrifying, rest assured knowing that, in many respects, it is. But so far, I wouldn’t trade this experience for anything. Life isn’t easy, and there will be challenging times no matter who you are or what you do. My goal isn’t to make my life easier; this sabbatical certainly hasn’t done that. But it has taught me invaluable lessons about myself. For that reason alone, I would advise anyone with the means and desire to consider taking a risk. It might seem like a pipe dream at the moment, but it was a pipe dream to me just a few short years ago. It’s really crazy how fast things can change once a mind is made up to change them.